World AIDS Day was first observed on December 1, 1988 to bring greater awareness to HIV, as well as to commemorate those affected by the disease. Today, it is regarded as the longest-running disease awareness initiative of its kind in the history of public health. Since those early years, the epidemic has changed enormously and so, too, has the global agenda. Today, the greatest focus has been placed on for the universal testing and treatment of all people living with the disease, increasing the number of persons required therapy from the current 20.9 million to over 37 million. 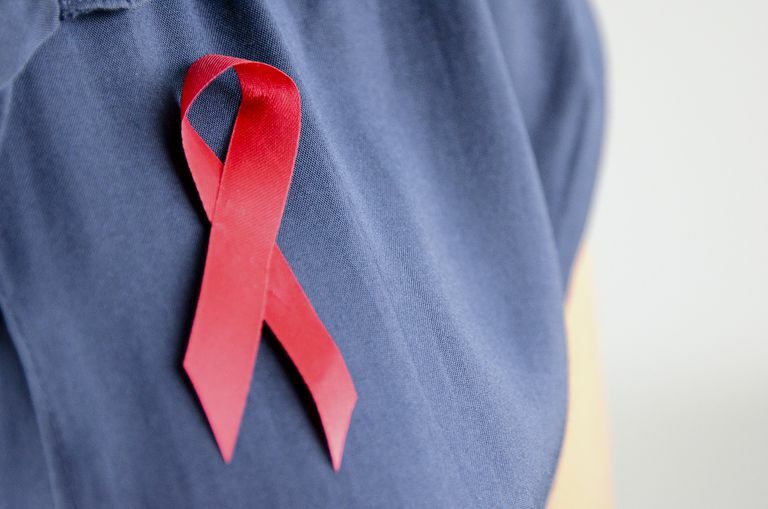 But with stagnating global contributions and an ever-increasing infection rate in many countries, including Russia and South Africa, one could argue that there has never been a more important time to mark World AIDS Day than now. World AIDS Day was first conceived as a means to capitalize on a media gap that existed between the U.S. presidential elections of 1988 and Christmas. James Bunn, a broadcast journalist who had recently taken a post at the World Health Organization (WHO), was convinced that audiences could be drawn to the story after nearly a year of non-stop campaign coverage. He and his colleague, Thomas Netter, decided that December 1 was the ideal date and spent the next 16 months designing and implementing the inaugural event. The first World AIDS Day focused on the theme of children and youth in order to bring greater awareness of the impact of AIDS on families, not just the groups commonly stigmatized by the media (including gay and bisexual men and injecting drug users). From 1996, World AIDS Day operations were taken over by the Joint United Nations Programme on HIV/AIDS (UNAIDS), which expanded the scope of the project to a year-round prevention and education campaign. In 2004, the World AIDS Campaign was registered as an independent, non-profit organization based in Netherland. In 2018, World AIDS Day marked its 30th anniversary with the theme "Know Your Status," a push by the global community to diagnose 90 percent of the world's HIV population by 2030. World AIDS Day themes over the years have mirrored the policy goals of public health authorities, moving from awareness and education to the larger objectives of community and global cooperation. From the late-1990s, as awareness grew about the life-extending promise of antiretroviral therapy, the focus gradually shifted from family and community to key barriers stifling the global prevention effort, including stigma, discrimination, and the disempowerment of women and children. With the founding of The Global Fund in 2002 and the U.S. President’s Emergency Plan for AIDS Relief (PEPFAR) in 2003, the focus further shifted to ensuring sustained international investment from high-income G8 countries with the Keep the Promise campaigns of 2005 to 2010. In more recent years, advances in therapy and global drug coverage, as well as breakthroughs in preventive interventions, have led policymakers to promote a potential end of the epidemic with the Getting to Zero campaigns from 2011 to 2015. The effort was further accelerated in 2016 with the inauguration of UNAIDS' 90-90-90 strategy and the launch of the Access Equity Rights Now campaign, both of which aim to end HIV by as early as 2030. According to UNAIDS, 36.7 million people are living with HIV, of which 2.1 million are children under the age of 15. All told, only half are aware of their status and only half are receiving treatment. Over two million people are infected with the virus each year, while one million were reported to have died of HIV-related complications in 2016. Recent estimates suggest that $26.2 billion will be needed to achieve the 90-90-90 goals by 2020, with an additional $23.9 billion required to 2030. 1996 – One World. One Hope. 2004 – “Have you heard me today?” Women, Girls, HIV and AIDS. 2005 – Stop AIDS. Keep the Promise. 2011 – Getting to Zero: Zero New HIV infections. Zero discrimination. Zero AIDS-related deaths. 2012 – Getting to Zero: Zero New HIV infections. Zero discrimination. Zero AIDS-related deaths. 2013 – Getting to Zero: Zero New HIV infections. Zero discrimination. Zero AIDS-related deaths. 2014 – Getting to Zero: Zero New HIV infections. Zero discrimination. Zero AIDS-related deaths. 2015 – Getting to Zero: Zero New HIV infections. Zero discrimination. Zero AIDS-related deaths. Kinsella, J. “Covering the Plague Years: Four Approaches to the AIDS Beat.” New England Journal of Public Policy. 1988; 4(1):36. World AIDS Campaign. “History of World AIDS Day 1988-2010.” Amsterdam, Netherlands and Cape Town, South Africa. UNAIDS. "Fact Sheet November 2017." Accessed December 1, 2017. AIDS Denialism: Ancient History or Ongoing Threat?